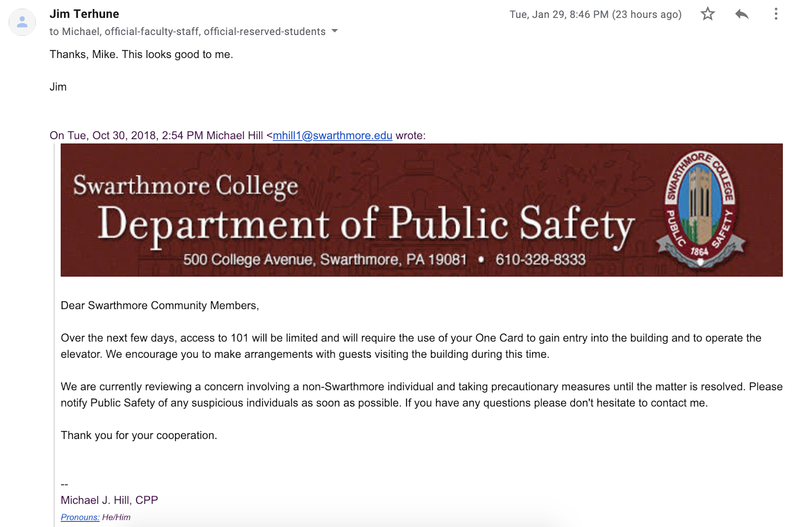 The three months since October 30th, 2018, when students received an email from Director of Public Safety Michael Hill about a campus security incident, have been filled with apprehensive anxiety. 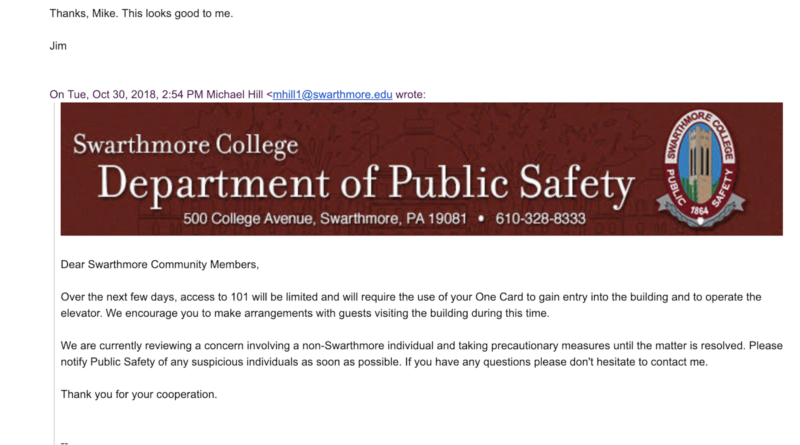 This terrible nervousness was finally ended a few days ago when Interim Dean of Students Jim Terhune made public his reaction to Michael Hill’s email, in a response to the entire student body. Dean Terhune has yet to respond to a request for comment on this article. It is, however, reasonable to predict that he will in fact offer a valuable and thoughtful reply sometime in April, or at least before the end of the semester.